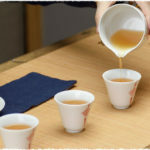 At Teavivre.com, in order to bring more teas for you to taste, in the past with every order we send free sample randomly. From now on you can choose samples for free with your order. At checkout you will be able to choose the sample you want. This is great way for you to taste more teas from us and find out what teas you like. Enjoy your free tea samples! How do I get the order?I like the black tea. We deliver the order by post package, Once you placed the order, we will package the parcel and send it to the post office, we will notify the track number when we get it from post office, then you can tracking your parcel until it arrive. Thanks for interesting in our site. – Italy ePacket Delivery, usually takes 8-15 days, and is free for orders over $40. – China Post Air Mail, usually takes 20-30 days, and if free for orders over $30. Hope it helps, if you have any further questions, please feel free to contact us! hello, I was glad to find your site. I own Tea Court Yard shop and I will be grateful for samples of your tea for possible further cooperation. Thank you for your work and caring attitude towards their customers! I am a very long time love your tea! Please send samples to my little shop! It is waiting! We are glad to know that you are interesting our teas.If you want to try our tea, You can take part in our free trial program and you can check this link for further information. Hi Ceara, we are sorry to hear that you have anxiety disorder. Almost teas contain caffeine which is a central nervous system and metabolic stimulant. So, for your benefits, we recommend that you should consult your doctor for professional suggestion. I ask you to send free samples of tea. Thank you very much. We are glad to know that you are interesting our teas. You can take part in our free trial program and you can check this link for further information. I want to try and tell others. Send me a sample of a few grams of tea. Really want to try the golden monkey, red robe and an hour with dried fruit. I’d be happy for a little special cup of tea. It is Chinese. We is not buying. Sincerely. 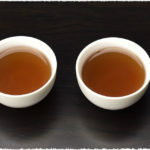 Hi Nadin, you can join our Free Tea Tasting Activity for free tea samples: https://www.teavivre.com/contacts/free_tea_tasting/. My colleague Angel will contact you for the activity if you are interested. Danke! Der Tee war sehr lecker! looking for a good green tea to loose weight please help nothing to expensive and organic. 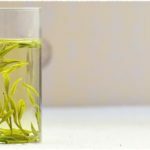 Hello Charlotte, you can try the Organic Tian Mu Mao Feng Green Tea: https://www.teavivre.com/organic-tian-mu-mao-feng/. It tastes good and is not too expensive, meanwhile is organic. You have a great tea. Thank you very much. First time ordering from here!